With the holiday season coming up we need to plan our substitutes. 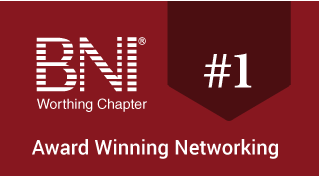 Either register with Sussex Subs FaceBook page or we can put together a Worthing subs list on the BNI Worthing website with their contact information. If, as a member, you are unable to make a meeting it is essential to arrange a substitute to take your place at the meeting. Your sub knows where to go. You benefit as the subs will present your sales message for you in your “one minute slot”. The subs benefits by having the opportunity to network with members of a different chapter. The other members benefit by having the opportunity to network with the subs. I have also had a genius idea… let me have a copy of your 50 seconds and I can either pop them on the website or hold them for you so if someone does need to sub for you ‘a bit last minute’ then I will have your 50 seconds to hand. Your business card holders are an important tool that can easily be forgotten. If you shut yourself in a little box and didn’t get your self out there then no one will ever know what you do or who you are. The same can be said for these humble business cards. The lovely brown wallet holds many of your contacts and also hopefully all of your best business referral contacts. Keep them current and up to date.